The Perfect Marriage Proposal requires perfect timing. SKY-ADS has the experience to ensure your display the the most memorable possible. 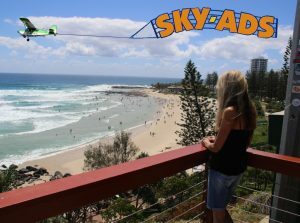 SKY-ADS is the only skywriter in Australia with the skills to perform the demanding Ground Launch Method of launching Flying Signs. This ensures your Perfect Marriage Proposal has the best chance of arriving on time. Any missed aerial pickup will cause a 10 minute delay. No missed pickups with SKY-ADS – guaranteed. Proposing is all about the timing. SKY-ADS ideas for the Perfect Marriage Proposal. In the second part, What to say in a marriage proposal message ♥ and what to avoid ⊗ was explained. Any time of the day is great. You can not read a banner after dark. We also have to land 30 minutes before last light. This leads to a few difficulties ⊗ Most of which can be worked around or avoided. For example if you said “I want to propose just as the sun comes up” The next question we would ask is “Where”? Because we can not get airborne until first light. Therefore we have a very small window to get airborne and get to your selected location. Lucky we can do a Ground Launch. Because this saves time. We do not have to fly about positioning for the pickup. Not to mention delays if an aerial pickup is missed, there is no guarantee that they get second try or even on the third. Could be lunch before they get airborne? That is to say, We can do lots of things. For example if your lady loves bushwalking and you want to be the first to see the sunrise in Australia. SKY-ADS will be there just after. So we would suggest that you lug a breakfast basket up with you. This way there will be no suspicion as to why you are still on top of Mount Warning. You are having a romantic breakfast. We will arrive with your romantic marriage proposal banner in tow, as soon as we can take off. Which might not be too much latter because first light is sometime before sun up. So if we only have a short distance to travel we will arrive with the sun. 90% of Aerial Marriage Proposals happen at lunchtime. There is a good reason for this, because it usually works out so well. You have scoped out a lovely location. Consideration has been given to the message and today is the big day. Firstly relax yourself. You do not want her to get anxious. Plan a relaxed morning. Breakfast in bed for her, maybe? She might suspect something is up, but this antipitation will not hurt and will add the the romance. Second don’t rush. Allow plenty of time for travel to the location. SKY-ADS recommends arriving 20 to 30 minutes prior to the arranged time. Look around for awhile as she takes in the beautiful spot you have chosen. Half an hour is a long time to wait in one spot. having a picnic is a great way to make the time pass smoothly. Keep Calm. avoid the temptation to look at your watch or mobile phone every minute. We can send you an E.T.A. via Text Message or we can “Maintain Radio Silence” the choice is yours. you should choose the option which makes you the most comfortable and therefore least nervous. Remember a little anticipation is great for romance; just don’t over do it. I have seen a grown woman levitate; at the sight of such a wedding proposal. The fellow in question was a very shy chap and had delayed proposing to his girlfriend for very long time. I suggested a lunch time picnic on a headland overlooking the sea, (Rainbow Bay Lookout) As the airplane Towing his Marriage Proposal Banner rounded the headland, I could see the chap nervously pacing about, searching for our flying sign. His girlfriend was sitting on a blanket with the picnic laid out in front of her, unaware of what was about to happen. The chap turned towards his girl and pointed to the plane. Upon sighting the proposal this lady, somehow levitated! She went from sitting to having her legs wrapped around this chaps stomach in the blink of an eye. A long embrace followed, and I did not need to get a text message to know her answer to the proposal banner. Mission accomplished ! ⊗ Something to avoid. I have seen a bloke push his cuddly love away, in his haste to get a picture. Don’t panic, we will circle plenty of times. Enjoy the Cuddle…! How do you expect your love to react? This varies from person to person. But a common emotion is shock. Watch the lady’s reaction in the Video above. You may find that your love is so full of emotion that she just can not express it. When I proposed to my wife with our banners, I expected a Text Message immediately. I waited and waited. Eventually I flew back to base; packed up the equipment, hanagered the Aircraft but still no text. I drove home expecting the worst. When I arrived, She was buzzing about like a mad person. I did not know what to think? It took her half an hour to finally reveal her answer. In other words, give her time to process. Dusk is considered, by some, as a good time to propose. Which it can be; but it does need some careful planning. Legally we must plan to be on the ground 30 minutes prior to the end of civil twilight. Therefore the deadline to leave a location can be a lot earlier than expected. This effect is even more pronounced during the winter months. Drop us an email info@sky-ads.com.au or have a chat 04 12166692 we would be glad to explore your options.